Hit the jump for some musings, and a link to a wallpaper sized version of that last panel. A note about my methods. Being as I have no artistic ability myself, I rely entirely on alternative methods. Namely, photo editing. 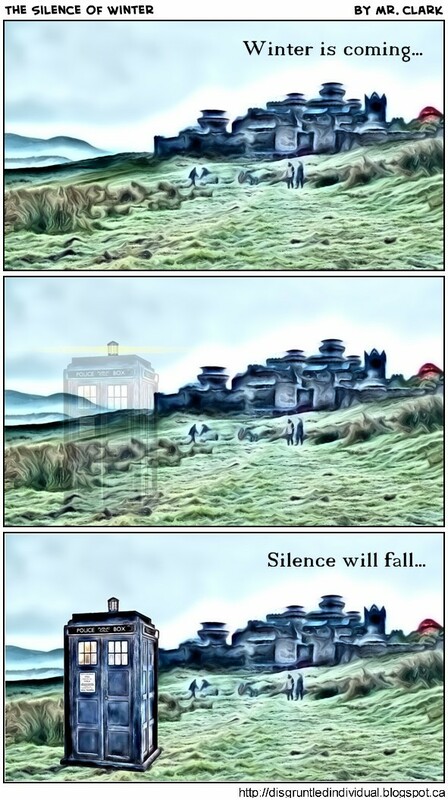 This comic was creating by a screen shot of Winterfell from the Game of Thrones series, and a photo of the TARDIS, and running them through a filter that makes everything appear like Vincent van Gogh painted it. Some people might call this a cheat. 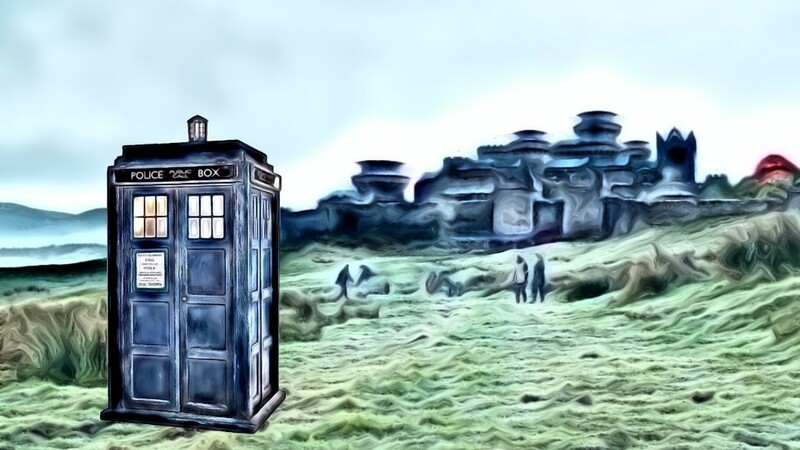 And, if I were able to draw a picture of Winterfell and the TARDIS, I might too. But I can't, so I make due. I don't feel bad about it. I made that, and I think it looks rather lovely.